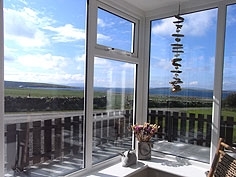 Welcome to 2 & 3 Berriedale Cottages, 2 properties situated on our dairy farm each with panoramic views over Scapa Flow. Living room with TV, DVD, CD and radio. 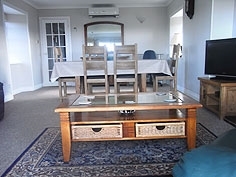 Dining kitchen with dishwasher, washing machine, tumble dryer, microwave, fridge, freezer, electric cooker and microwave. 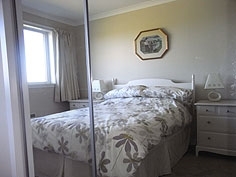 2 double bedrooms with ample storage space and one single bedroom. Linen and towels are provided (not beach towels). Parking area and enclosed garden. Air source heating and electricity included. One well behaved pet welcome by prior arrangement. Cot and high chair provided on request. 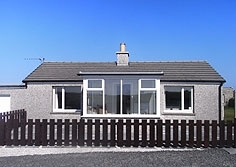 High season £360: June to September. 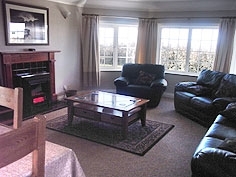 Mid season £300: April, May, October, Christmas and New Year. 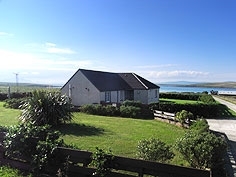 Low season £240: November to March. For returning guests these reasonable rates are guaranteed until December 2014. 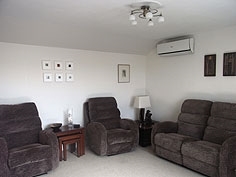 Spacious living and dining area with TV, DVD, CD and radio. 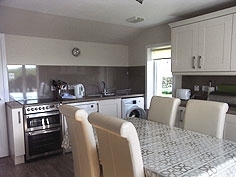 Kitchen with breakfast bar, dish washer, microwave, fridge, freezer, electric cooker, gas hob and microwave. 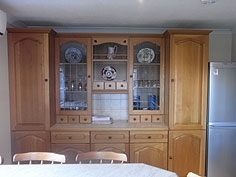 Separate laundry cupboard with washing machine and tumble dryer. Linen and towels provided (not beach towels). St Margaret's Hope is nearby where there is a golf course, bowling green, tennis court, two play parks and a fitness suite. There are local shops, restaurants, craft galleries, historical sites and many beautiful beaches nearby. Distance travelling over the Churchill Barriers to the main town Kirkwall and the airport is 15 miles, journey time 20 minutes. Orkney has a rich archaeological heritage, an abundance of wild life, bird watching, fishing and walking tracks for you to explore. 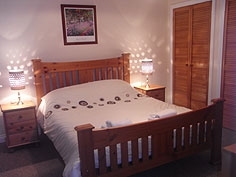 A 25% non-refundable deposit on booking and the balance payable on arrival. Arrival time Saturday 3.30pm and departure Saturday 10.00am.